At Crestview’s 9:30a Worship Time in the Main Sanctuary, you will find families and persons of all ages gathered to sing Psalms, Hymns and Spiritual Songs led by Adult Choir, Bells, Brass, Woodwinds, Strings, Children’s Choirs, Organ and Piano. You will experience a worship order of Praise, Adoration, Confession, Assurance and Pardon, reading of scripture and preaching, offering and prayer. Children attend the first portion of worship and have a special message just for them before they move to their classes. All present will experience traditional elements of worship with refreshing nuances. Services are thematic with the scriptures and message supported by related readings, prayers, songs and responses. The atmosphere is friendly and relaxed. To help prepare for this worship experience, each week on Thursday, worship notes are published on this website to explain the hymns, readings, prayers and scriptures. At Crestview’s 11:00a Worship Time, some arrive a bit early to share in coffee hour with family and friends from the 9:30 worship, and some move directly to the Middle Sanctuary to gather around the coffee table. 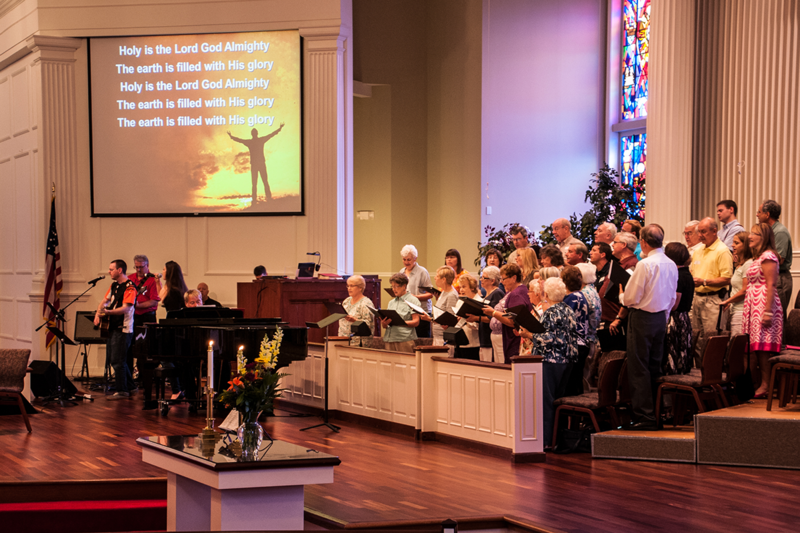 We join together in praise at 11a, led by Crestview’s Worship Band (folks from high school to adult) who lead those present in singing some of the more recent expressions of high-energy praise. The worship progresses through a welcoming time, more songs of praise, shared congregational prayers, reading and teaching of scripture, and sharing of offerings and service opportunities. Just like the 9:30a worship time, you will find children, youth, young adults and even a few seniors who are young at heart! The atmosphere is informal, and you are welcomed to get coffee at any time! 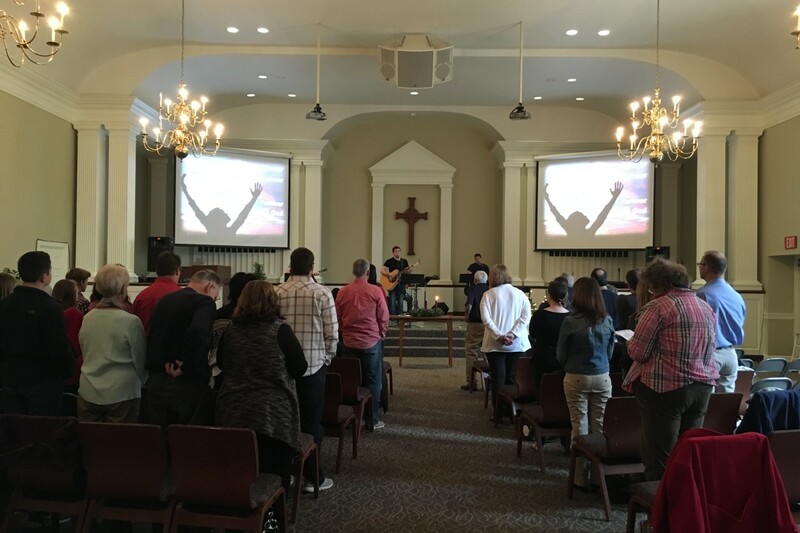 SEASONAL: In addition to the regular Sunday Morning Worship Schedule we have several regularly scheduled seasonal worship events including Ash Wednesday, Maundy Thursday, and Christmas Eve. These services generally include prayer, song, scripture, homily, and other traditional elements of worship and are designed and organized for the season. 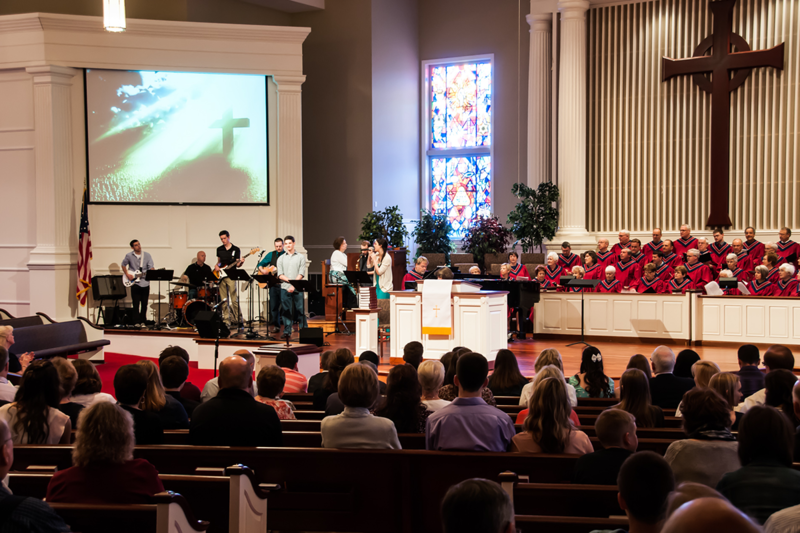 ONE-SERVICE SUNDAYS: Generally, Crestview combines the 9:30a and 11:00a worship experiences into ONE WORSHIP EXPERIENCE about 4-5 times a year for special occasions, like Confirmation Sunday. You will find elements of both services presented in a way which will be uplifting to all worshipers. These powerful worship experiences help to unite the Crestview Congregation.